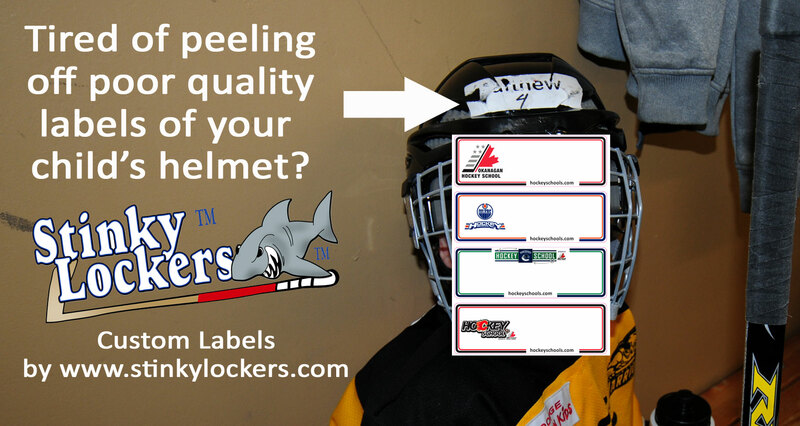 Learn To Play Helmet Stickers - Stinky Lockers Ltd.
Customize your association "Learn to Play" Decals with your Association logo. These easy to apply and easy to remove labels are ideal for the novice, initiation and CANSkate players. Document your players name with any permanent marker and help your coaches identify the kids on the ice. Knowing a players name when executing any drill helps keep kids focuses and improve their skills during practice. Dimensions: 4 1/2" x 1 1/2" Digital Print Medi decals are countour cut with radius corners and weeded for ready application. Laid up in sheet form, distributing these labels to teams are easy. Document the name with any permanent marker on your clipboard and peel and stick! Ready for the Big League.